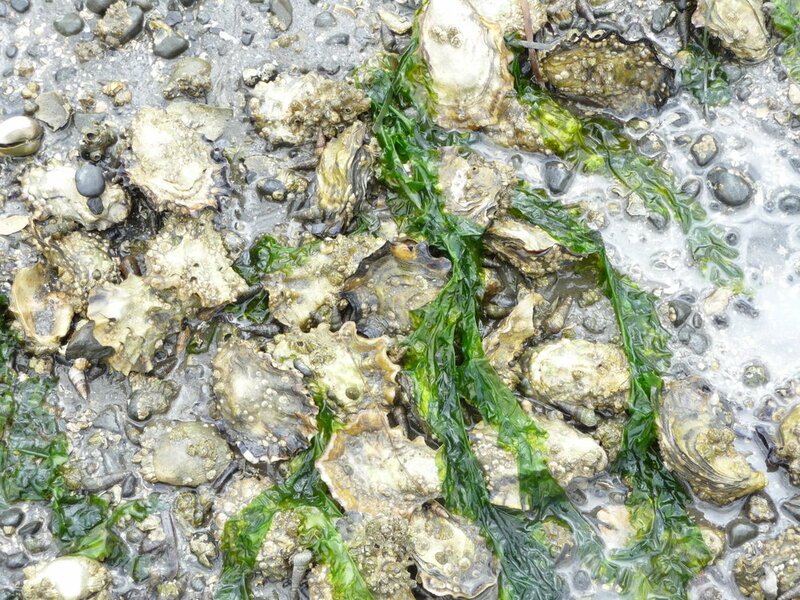 These are bed grown oysters in Willapa Bay, Washington. They are initially brought here from a hatchery where the 3 week old larvae are set onto a mother shell. The young oysters grow in clusters on that shell to an adult harvestable size oyster in about three years time. Harvesting bed grown oysters is done with an oyster dredge like this one when the tide comes in and the oysters can be dragged up off the bottom into the net of the dredge. The oysters are then taken to the docks and unloaded where they can then be shucked at the plant. Below is a quick clip giving you and underwater experience of what Oysters look like in growing on the bottom of the ocean.